Kathleen Rose Photography Blog: Denver Wedding Photography | Jen + Sean's wedding published on Wedding Wire! 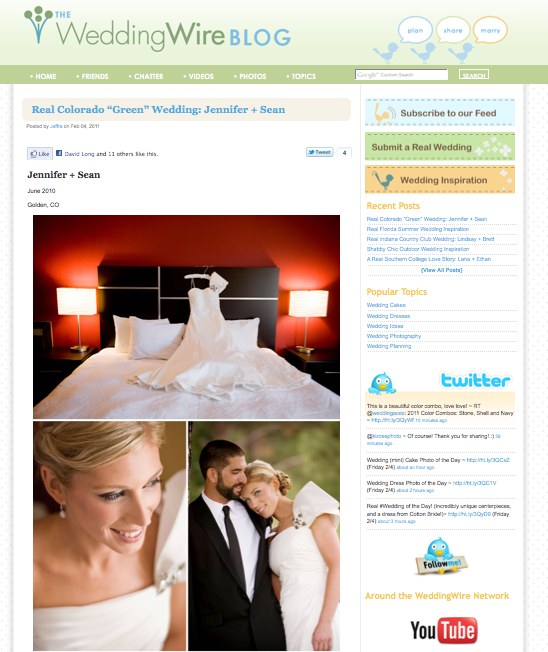 Denver Wedding Photography | Jen + Sean's wedding published on Wedding Wire! I am so excited to have a wedding of mine published on a national website! WeddingWire.com is the largest site for a bride and groom to review all of the vendors they hired for their big day. They also have a wedding blog where they post real weddings, tips and advice for brides. Here is the link to the entire post on Wedding Wire and here is my original post. Thanks to Jen + Sean for being such fantastic clients and to all the other vendors who made this wedding so fantastic. I really like this post.Thanks for shring. Fine Art Friday | Valentines Tulips!